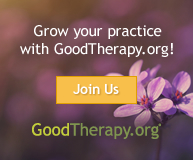 Therapy games to help teach new skills, emotional intelligence, and more! Use Jim Borgman's Feeling Playing Cards alongside classic card games like Go Fish, Crazy 8's, and Twenty-One to encourage kids to talk about their feelings. This product includes a complete set of playing cards with uniquely illustrated faces and feeling words. Get creative with this product, and your younger clients will respond well. Children ages 6-12 will learn numerous anger control skills while playing Mad Dragon: An Anger Control Card Game. Skills include identifying anger, expressing feelings, spotting anger warning signs, and learning new choices to express anger. Use this game as a great intro to teaching anger management, and a way to easily get kids interested in session.